During a check-up, a man in the background continues to rub his tobacco. A lack of dental hygiene can lead to problems like tooth decay, gum disease, bad breath etc. which can last a lifetime and can also have more serious consequences. To prevent health issues practising good oral hygiene is very important. In a country like India where the majority of its population lives in rural villages and places where the reach of information is limited, Hasnaa wants to spread awareness about oral hygiene. Our mission is to advance dental hygiene practice and primary heath-care promotion in the remote and underprivileged areas of India. The use of both smoked, as well as smokeless tobacco, predispose a person to cancer. Tobacco-specific nitrosamines (TSNA) present in smokeless tobacco are the most harmful carcinogens which are also responsible for various precancerous lesions. The use of tobacco is more prevalent among the rural population, illiterates, the poor and vulnerable section of the society. The incidences of oral tongue cancers have been increasing in the last couple of years in India. HASNAA aims to bring about great awareness about the harmful effects of tobacco and to treat patients who can be saved from further damage due to tobacco use and help them overcome their addiction. Oral cancer forms the fifteenth most common type of cancer worldwide. On global comparison, India shows high incidence rates of oral cavity cancers forming a major health burden. Most cases of mouth cancer are linked to Tobacco and Alcohol. 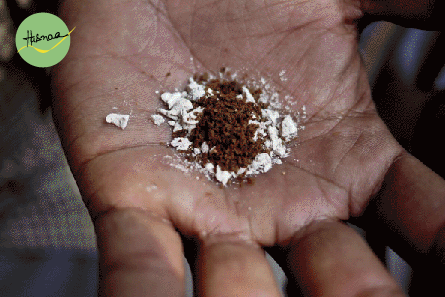 The traditional ethnic habits of chewing tobacco, betel quid, gutkha and paan are particularly dangerous. Mouth cancer / Oral Sub Mucous Fibrosis (OSMF) can often be spotted in its early stages and the chances of a cure are good. Most overgrowth of tissues is not necessarily Oral Cancer, but a Dental check-up and if required a biopsy can help to diagnose and treat further. We aim to reduce the incidence of oral and oropharyngeal cancers in the rural and underprivileged areas of India and to support those who have been impacted by the disease. Lets join hands and work towards a healthier and smiling India.